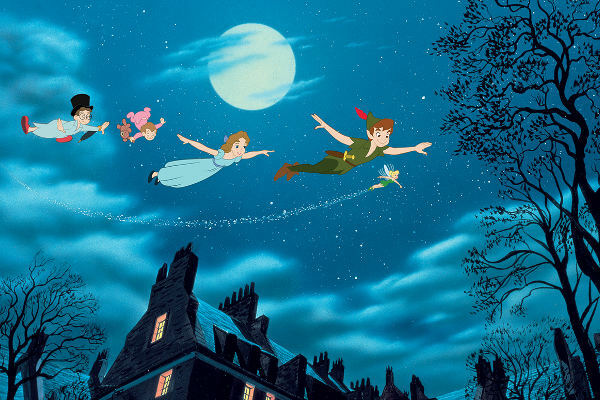 Flying with children conjures up visions of Peter Pan tomfoolery in the sky. Be warned; this article contains no such magic. Is there a more trying experience than hurtling through the stratosphere in a cramped metal cylinder with your children? I think not! For Pete’s sake, Its 2018! — Why has nobody invented a teleportation machine yet? In all fairness, I have a love-hate relationship with flying. That great lottery in the sky. Who will I be sat next to? How many times has my rice been cooked? Will the baby vomit during take-off? All questions I routinely ask myself, and sometimes, I don’t like the answers. The best flights in my experience have had one thing in common. No children; mine or others. So why is this miserable harbinger of doom, and self confessed hater of flying children, writing an article advising people about ‘flying with children’? Because I am here to advise you to leave the children a home – end of article! …. OK so I wont take the cowards way out. Instead I will tell you my own experiences flying with children; as a form of self therapy and instructional hate speech. My knees dont agree with economy. Its the lack of leg room with some of those stingy airlines. Turns my knee joints into throbbing balls of broken glass. I dont want any violins, i just want it known for the record that economy doesn’t agree with me. So, with that in mind, I was always dreading a long distance flight in economy. But I also had a secondary fear of economy flying. One that gave me cold sweats. Children! Children in close proximity on my plane. This is MY plane!!!!! Why are they on here? I used to scan the departure lounge looking for suspects. When I spotted a target, I would encircle the enemy forces hoping for a quick glance at a boarding card…27C? For the love of god NO!!!!! Seat change, seat change, seat change. How I longed to sit next to a quiet old university professor. 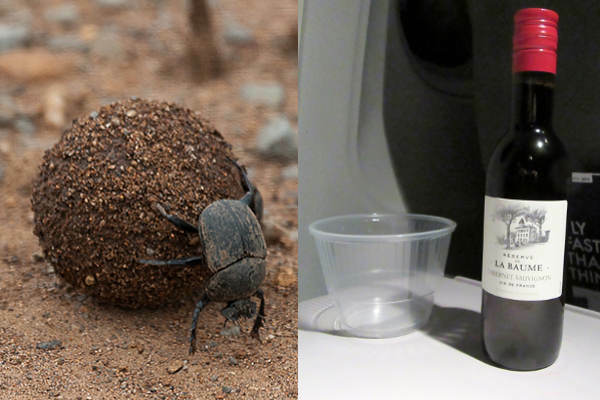 “Whats that professor?” – “you are studying dung beetles in Madagascar?” – “how marvellous! Another plastic bottle of Cabernet sauvignon professor? Care for more space on the armrest professor? More often than not, I was sat next to a screaming narcissistic baby for 10 hours. “And that’s your older sister sat behind me kicking the back of my seat? OK fair enough I deserve this; I would tell myself as I cried big salty tears into my three cubic centimetres of tiramisu. … and then at 38-years young, before I fully understood the consequences of my actions, and as if by magic, I had a baby. Not literally of course. My wife actually did most of the manual work and boy doesn’t she like to bang on about it. If the truth be known, she does not know about pain. She has never experienced man-flu. Anyway I digress, I dont want to get into the whole man-flu/pregnancy debate again. So, we had a new addition, and he was a needy kind of baby. Lots of appointments, always demanding food and clean clothes. Pretty much living the life of Reilly at my expense. He also had a penchant for international air travel. They never tell you about that at prenatal classes do they? When they are babies a short flight can be pretty easy. The hum of the jets sends them to cloud nine. If ever a travel ban was in order it should be for toddlers (except mine because he needs to get to places), but all others should be banned. Indefinitely. 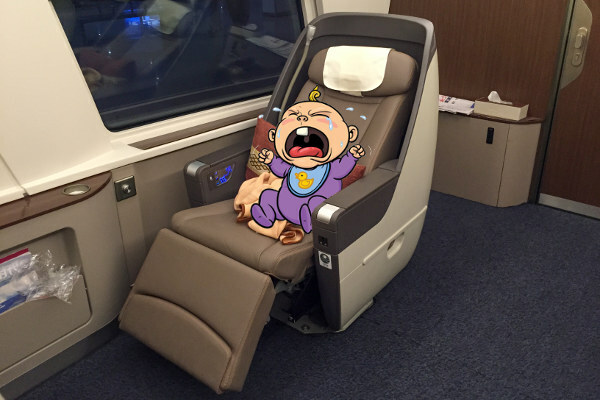 Should you take a baby in business class? Pre-2014: I would militantly take the ‘no’ position. The clue is in the name. “Business Class”. Its for Business folk. We need to work on our laptops in peace and quiet. Keep the babies back in the riff-raff section thank you very much. Post-2014: Business class should be exclusively for babies and small children. Put those business wankers in the cargo hold with the luggage. Maybe you can see a pattern forming here. The pattern of rational selfishness. Everybody wants to get to their destination well rested and without stress. For some, especially business travellers, their condition at their destination could even impact their income or family lives, so it is rational to want to have a comfortable flight. That’s not even considering the fact many customers pay a lot of money for the service. That rational selfishness has now evolved to focus on the quality of my child’s journey. That’s not hippy talk for his life journey, I am literally talking about the flight. Depending on a range of factors a flight can be a demanding and unpleasant experiences. The added intrusion of a screaming baby can just compound the problem. But walk in the babies booties for a moment. Just imagine how stressful the experience is for them. A toddler can seem like an out of control maniac at times “oh what terrible parents they must be” come the cries from the childless masses. Believe me a toddler doesn’t have an on/off button, and they become more stressed, emotional and tired far quicker than adults. You can comfort and entertain them them to a point, but if they are super tired and unable or unwilling to sleep they will be very difficult to “control”. More carrot and less stick. By ´less stick´ I actually mean ´no stick´. Beating your children on an international flight with a stick is not a good look. 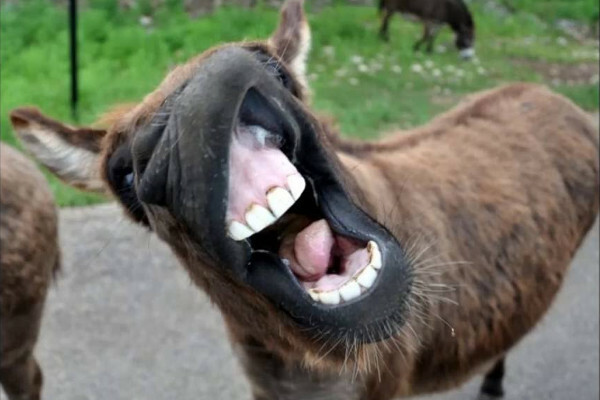 You can apply the same code to donkeys, if you ever encounter one on a flight. Carrots on the other hand are full of nutrients and very good for your child. Feed your child carrot sticks and kill two birds with one stone. If I have got the wrong end of the stick please forgive me. I read an article posted on facebook from a mother who asked for passengers to be patient of her “expressive” child, and children of a similar ilk when on flights. I cant find the article now or I would link to it, but the outcome was a barrage of abuse. These were a selection of the responses in the comments section as best I can remember them. To be fair she was an annoying and patronising preachy type. The third comment was mine. Its true, some children are impeccably behaved. This condition is known as hitting the genetic jackpot. How a child attains its character and personality is not fully understood. Some say its how your raise your child is the only thing that matters. But I am not in this camp. I believe it to be a mix of physical and environmental factors. The environment you raise your child in is extremely important no doubt, but I believe the child’s character will also be influenced by genetic factors. It id even suggest the child personality can be impacted by the mothers mood during pregnancy. Hmmm, no wonder my son complains so much. By jove he is right! I thought to myself. I will mould this child into the perfect entity. Living vicariously through this super humans sporting and academic achievements in the future. Its a foolproof plan, what can possibly go wrong? I declared raising my index finger increasingly into the air to indicate intent. Then the baby was born. His character already particularly evident. The plan was ruined. When they hit the terrible twos, or as I prefer to call it “the terrorist twos”. The toddler goes through a stage of very defiant and unruly behaviour. That’s not a condition conducive with a pleasant flight believe me.